Are you creating emotional loyalty with your customers in 2019? What strategies and steps are you taking? We collaborated with Dr. James Intriligator, Harvard PhD & Professor of Consumer Psychology, to find out exactly which emotional factors influence our buying process. 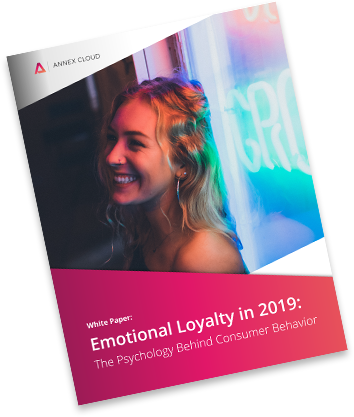 In this white paper, we will dive into the importance of emotional loyalty and how to better engage customers through your brand’s messaging. Examine the differences between the emotionally-driven customers and transactional customers. Dive into 5 brands that leverage emotional loyalty well and what they’re doing differently. Learn how to connect better with emotionally-engaged customers through your brand’s messaging.